Air Canada is introducing new family-friendly services for customers with young children to make summer vacations even more enjoyable. Anyone flying Air Canada, Air Canada Rouge or Air Canada Express with young children will be able to take advantage of dedicated check-in counters at major hubs, complimentary seat selection for proximity seating, and a range of other services designed to meet the needs of travelling families. "Summer is the time of family travel and Air Canada is pleased to offer special new services to make each trip easy and memorable for customers with young children. With Air Canada Family Summer Travel Services, we are introducing airport and onboard programs that will simplify all aspects of the travel experience for families during their summer holiday travels. 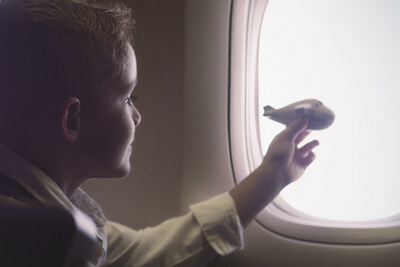 Parents will be able to enjoy peace of mind so they can share in their children's delight in the magic of flying and freedom of summer," said Benjamin Smith, President Airlines and Chief Operating Officer at Air Canada. Priority rebooking in event of schedule changes. Air Canada also continues to offer a fee-for-service Unaccompanied Minor program for children aged eight to 17 travelling without a parent or guardian on non-stop itineraries. This provides children enrolled in the program special attention, including a dedicated agent at both the departure and arrival airport and regular monitoring onboard by a flight attendant for the duration of the flight. Details about the program are available at the AC Family page on www.aircanada.com. Αναρτήθηκε από geop στις 9:19 π.μ.